DEPENDABLE. RELIABLE. ON YOUR SIDE. Where you pulled over and charged with DUI? Whether you were stopped at a sobriety checkpoint or singled out because of a motor vehicle violation, you should consult with a Pennsylvania DUI attorney to determine the best course of action for your case. An experienced Pennsylvania DUI lawyer can raise many legal issues in your defense and help you limit the consequences you are faced with. Every DUI case is unique and should be reviewed by an attorney to consider the specific circumstances to determine the best approach for your defense. This helps to ensure that you are not being wrongly accused, denied certain legal privileges, or being punished too severely for your crime. The Pennsylvania legislature has adopted a “tier” system within the DUI statute. The different subsections in the DUI statute are determined by the substance within your body, the amount of substance within your body, and on the number of DUI convictions within the past 10 years. What substance was in your body? DUI is falsely assumed to be just driving under the influence of alcohol. In actuality, a DUI can be caused by any substance that inhibits cognitive and motor function. This can include marijuana, cocaine, heroin, and any other mind- and body-altering substances. 2. How much substance was in your body? When pulled over, you will have to take a breathalyzer test to determine your blood alcohol content (BAC). However, if you are high while driving, the state of Pennsylvania considers this a punishable offense, no matter how much is in your system. 3. How many DUIs have you had? With each offense, the consequences become more severe. Though first-time offenses aren’t nearly as serious as three- or four-time offenders, the consequences are still substantial. serve a term of probation and earn a dismissal of the charges. In 2016, in Birchfield v. North Dakota, the United States Supreme Court ruled that a blood draw, incident to a DUI arrest, is a constitutionally protected search subject to the Fourth Amendment warrant requirement. The ruling held that laws that provide for an increased criminal penalty for refusing to provide a blood sample are unconstitutional. Attorney, Charles Dutko is one of the few Reading, Allentown, or Easton DUI attorneys that also formerly worked as a police officer. As a police officer, Attorney Dutko looked for drivers that were driving while impaired. This means he has a full understanding of the processes involved in a DUI offense, both from the position of as an officer and as a current attorney. As a police officer, Attorney Dutko pulled over individuals and participated in sobriety checkpoints. He also conducted field sobriety tests, determined whether the driver was impaired, and initiated charges against defendants. Due to all of this prior experience, Charles Dutko is the defense attorney you want on your side. We understands the processes of DUI offenses, and better still, knows Pennsylvania law. Attorney Dutko fully understands what police look for to develop probable cause to initiate a vehicle stop. 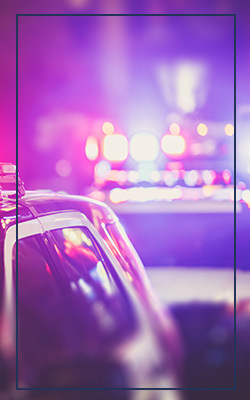 The strength of many DUI cases lies in the officer’s ability to establish probable cause for the initial traffic stop. A DUI defense attorney that is able to refute the vehicle stop, can often get the charges dismissed or reduced during plea negotiations. If you are fighting a DUI Charge in Reading, Allentown, Easton or surrounding Pennsylvania cities and counties, Charles Dutko is the DUI lawyer to call. Don’t let the police or prosecutor convince you to take a plea and don’t think you can handle your defense alone. 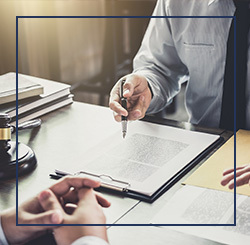 Call Dutko Law, LLC and put Attorney Dutko’s DUI experience to work for you.